This is a complete direct fit oil catch can kit. 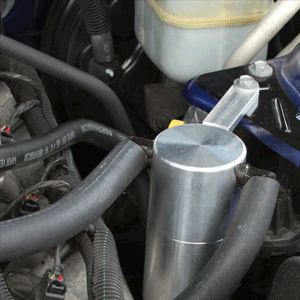 It includes a satin aluminum catch can and the hoses needed to install it. 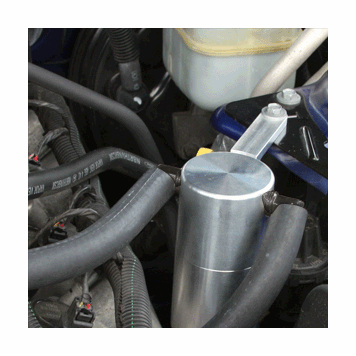 It mounts on the driver strut tower using an existing bolt so no drilling is required. If you have a supercharged mustang or a serious naturally aspirated car this catch can kit is for you.